MINNEAPOLIS, Minnesota (CNN) -- A three-judge panel will begin hearing testimony Monday in Republican Norm Coleman's post-election legal challenge for the U.S. Senate seat. 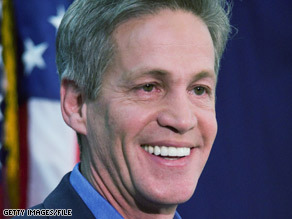 Norm Coleman will argue many votes were not recounted properly in his bid for re-election to the U.S. Senate. An election-night count showed Coleman, who was the incumbent senator from Minnesota, ahead by a few hundred votes. A recount handed victory to his opponent, Democrat Al Franken, by 225 votes. About 3 million ballots were cast in the race. "We have a good shot at this, and so I proceed with that in mind," Coleman said last week, calling Franken's lead "artificial." To aid in his battle, Coleman has retained Ben Ginsberg, the lawyer who led the Florida recount efforts for the Republican side during the disputed presidential election in 2000. • That nearly 12,000 absentee ballots rejected on Election Day should be recounted because at least 4,500 of them were discarded in error. If those ballots are allowed, they could flip the race back in Coleman's favor. • That the canvassing board did not use a uniform standard when it counted 933 ballots from the discarded pile of absentee ballots. Those 933 gave Franken the edge. • That some votes were counted twice, which also worked in Franken's favor. The burden to prove the ballot discrepancies falls on the Coleman team, Ginsberg said. "We are, after all, the contestant," he said. "But I have to say that we feel little weight on our shoulders as we go forward." The Coleman team has said it will also file a class-action lawsuit on behalf of the absentee voters whose ballots were rejected. The lawyers dismissed assertions by the Franken side that Minnesota is in a "constitutional crisis" because it has only one senator in Washington. Ginsberg pointed out that Illinois and New York had one senator attending sessions when then-Sens. Barack Obama and Hillary Clinton were campaigning during the presidential race. Ginsberg said "the Franken campaign are not nearly so concerned about" those vacancies. Marc Elias, the lead attorney for the Franken recount team, laughed at the comparison and said Ginsberg was "thankfully" not serving in the U.S. Senate. "The fact is that the Constitution of the United States provides for two senators from every state," he said. The Franken side will ask the Minnesota Supreme Court on February 5 to order Gov. Tim Pawlenty and Secretary of State Mark Ritchie to issue a temporary election certificate so Franken can be seated in the Senate. Both men have refused, saying they will wait until the matter is resolved. It is uncertain how long the case will take to wind its way through the legal channels. Even if the trial ends quickly, either side could file additional appeals to the state Supreme Court or the federal courts. The Minnesota seat is the only vacancy in the Senate, which Democrats control by a 58 to 41 margin. Should Franken prevail, Democrats would be one vote shy of 60, which would give them the power to muscle through major legislative initiatives over Republican objections. Coleman was first elected to the Senate in 2002 and has served one term. Franken is a comedian and liberal talk show host.